Over the past few years, I have had the opportunity and privilege to attend and speak at writer’s conferences in the US and abroad. I find it to be one of the more enjoyable activities I perform as part of my duties. I think if you are in the midst of a manuscript, or trying to understand what it means to be an author today, attending a well-run writer’s conference can be a good investment of time and money. It can be overwhelming, but worth it. If you have never been to a conference, or if you are new to the publishing world, or if you have been previously published through a traditional publisher, attending a writer’s conference can prove very helpful for a number of reasons. You will be inspired and encouraged by like-minded people. Writing a book can be a lonely process. Many times, it is you and your notepad and keypad, working through the excitement and doubts of finishing a manuscript. While in most cases, you can find support with friends and family, it is not the same as sharing the experience with someone who knows the joys and struggles of writing a book. But at writer’s conferences, you will find people who know exactly what you are going through. They can provide tips and suggestions. In fact I am always amazed at the relationships, connections and even friendships that can be built in a weekend at a conference. You will learn about all the options you have as an author. Always enjoy the Q&A at conferences. Spoke recently at the West Coast Writer’s conference. It is the best time in history, but it is also the most confusing time to be an author because you have more choice and opportunity than ever before. So it is important you have a clear understanding of what options you have and what publishing path is the best one for you to pursue for your book or project. That’s why it is important to check the keynote and breakout sessions for the conference. If they are only focused on one area of publishing, such as agents, I think that is less optimal. Look for a schedule that includes a variety of perspectives and experiences. I think that is most beneficial. You will hear tips on how to improve your skill as a writer. Writing is a craft and it is work. So it is important to learn from those who have experience and success. As with any skill, you can learn from others and they can help you get better at what you do. For example, one of the best tips I ever heard at a writer’s conference was a successful author shared that she took acting classes. Not because she ever wanted to become an actress, but because she thought doing that would help her write better dialogue in her books. I thought that was brilliant when I heard it and showed what type of commitment it takes to improve your skill. You will develop a better understanding of marketing. Most first time authors do not always understand what part they will have to play in marketing their book. In fact for many authors, marketing is a mystery. I personally enjoy speaking about marketing to authors so they can better understand what they need to do to build a platform and a following for their book. Good conferences will include a variety of workshops on marketing so look for those in the schedule in the mean time, I have written a whitepaper titled, The 3 Phases of an Effective Book Marketing Campaign that many authors have found helpful. So which conference should you attend? Over the years I have had the opportunity to attend and speak at a number of conferences. I am sure there are more than what I have listed and linked to below, but I can say each of these offers writers a great opportunity to improve their craft, make some great connections and be inspired to get to their goal. If you plan to attend one of these let me know. I have already committed to speak at some of them and look forward to meeting you in person. If you search, you can find lots of information on how to design a killer book cover. In fact, I have written a number of blog posts on the topic. 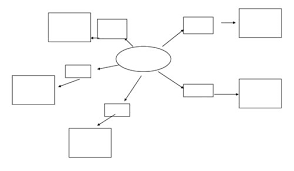 So what should you keep in mind as you design the interior pages of your book. While it is tempting to get “creative” with your type face and try to be different for the sake of “standing out”, the most important thing to remember is your book must be readable. Readability depends on a number of factors. A clear title page is a good start for any book. First is the font style used for the body text. There are many good options, including popular fonts such as Garamond, Caslon, Electra, Palatino, Fornier, ITC New Baskerville, Bembo, Futura, Myriad, and Helvetica. The main font used in a printed book is typically a serif font. However, san serif fonts are easier to read on a screen so they may be preferred for e-books. Serif fonts have little ‘serifs’, or feet, at the ends of the letters and san serifs do not. Another factor in the readability of the text is the font size. A typical novel uses a ten to twelve point font, depending on the font style, genre, book length, and audience. You may choose a larger font if your book is targeted at an older or a very young generation. Line spacing, or ‘leading’ as it’s called in the design world, impacts readability too. Generally books are spaced slightly more than single spacing, about 120–125 percent of the font size. For example, a twelve point font would have a line spacing of about fourteen or fifteen points. A third factor that affects readability is the presence or absence of white space on the page. The margins (the white space that exists between the text block and the edge of the page) vary from book to book. Reducing the margin size condenses the book to fewer pages, but it can also make the book feel more claustrophobic and difficult to read. I always recommend you start to collect sample pages of books that have very readable designs to use as a guide when designing the interior pages of your book. Another key element that makes a great book design is consistency. From chapter starts to dashes and ellipses, maintaining a consistent style throughout the book helps the reader flow through the book more easily. Remember the design is not to draw attention to itself, but rather help the reader move through the book. When there are jarring, out-of-left field design elements introduced on the pages of the book, it can actually interrupt the reader’s enjoyment of the story. Creating a professional book layout takes more than simply throwing a title page and some page numbers on your manuscript. There is an order to things that tell readers this is a professionally designed book. Even more important there are certain standards that readers, book buyers, retailers, and librarians expect in a professional book. An interesting opening page can draw readers into the story. The inside of your book is divided into three main sections: the front matter, text, and back matter. Front matter introduces your book to your readers. Appearing before the main text, front matter is comprised of pages that include information about the book, about you, and about the publisher. Next is the text, which is the main narrative that makes up the meat of the book. The back matter falls after the main text and includes any supportive material to the text, such as the glossary and index. Let’s look at each of these individually. The front matter is found before the main text of the book and may include the following sections. Your book should at minimum include a copyright page and title page. Half title page: The half title page is the first page of your book and contains only your title. This page does not include a byline or subtitle. Series title page: Use the second page of your book to list any of your previously published books by title. It is customary to list the books chronologically from first to most recently published. Listing the title only is standard, but in nonfiction works, you may also list the subtitle if you feel it is essential. A common way to begin this page is, “Also by [author’s name]…” For authors who do not have previously published works, this page may be left blank or feature a frontispiece, which is a decorative illustration that is opposite the title page. Title page: The title page is the part of your book that displays your full book title, subtitle, author, and any co-writer or translator. The publisher’s logo is featured on this page as well. Copyright page: The copyright page contains the copyright notice, which consists of the year of publication and the name of the copyright owner. Depending on your publishing path, the copyright owner may be the author, an organization or corporation, or your publisher. This page also lists the book’s ISBN, and if applicable, the book’s publishing history, permissions, and disclaimers. Table of contents: A table of contents lists the chapters, pertinent front and back matter, and the corresponding page on which these sections can be found. Typically, only nonfiction books require a table of contents. Additionally, all e-books must include a table of contents regardless of the genre. List of illustrations: If your book includes several key illustrations that provide information or enhance the text in some way, you may need an illustrations page. However, if the illustrations are simply for comic relief or visual aid, the listing may not be necessary. List of tables: Similar to the illustration listing, this page provides you with the opportunity to list any important tables and the page on which they can be found. Foreword: The foreword contains a statement about the book and is written by someone other than the author who is an expert or is widely known in the field of the book’s topic. It is most commonly found in nonfiction works. Preface: The preface usually describes why you wrote the book, your research methods and perhaps some acknowledgments if they have not been included in a separate section. It may also establish your qualifications and expertise as an authority in the field in which you’re writing. Again, a preface is far more common in nonfiction titles. Acknowledgments (if not part of the preface): An acknowledgments page includes your notes of appreciation to people who provided you with support or help during the writing process or in your writing career in general. This section may also include any credits for illustrations or excerpts if not included on the copyright page. If the information is lengthy, you may choose to put the section in the back of the book, as the first section in the back matter. Creating a professional book layout takes more than simply throwing a title page and some page numbers on your manuscript. Within the pages of books, you commonly find elements such as page numbers, running heads, and chapter-start pages. Here are some of the standards related to these standard design elements. 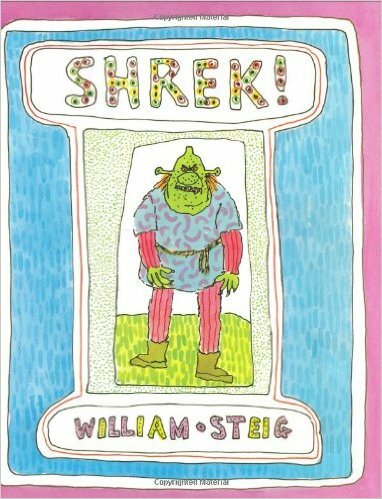 Unless you are publishing a very short children’s book, it’s essential to include page numbers. E-books do not require page number since the idea of a “page” isn’t static from one e-reader to the next device. Page numbers are most commonly found at the top of the page on the outer right or left corner, but can also be found at the bottom of a page. Many nonfiction books include running heads, which is the text at the top of pages that identifies the author, the book title, the section, or the chapter. Novels rarely use running heads unless there is some helpful purpose to the reader. There is some leeway in how the running heads are used, so there are many combinations of what the running head features. Some examples are: part title, chapter title; chapter number, chapter title; and chapter title, subhead. The treatment of your chapter starts is a chance for your book design to be more expressive. While the font of your main text should be highly legible as its top priority, the chapter starts can be a bit more creative. It is common to see chapters that start on a new page from where the previous chapter left off, and the chapter starts one-third to halfway down the page. Nonfiction books also use subheadings to further divide chapters. While the chapter starts can be more stylized, the subheads should be rather straightforward, although they can play a complementary role to the font used in the main text. The back matter of your book includes sections that support the main text but are outside of the main narrative. Appendix or Addendum: An appendix includes any data that clarifies the text for the reader but would have disrupted the flow of the main text had it been included. It could also include information that was gathered too late to be included in the main body of the text. Some items included in the appendix could be a list of references, tables, reports, background research, and sources, if not extensive enough to be included in a separate section. Notes: The endnotes section allows you to amplify or document certain passages throughout the main text. Endnotes are typically divided by chapter. Glossary: A glossary comprises alphabetically arranged words and their definitions. Many nonfiction books include a glossary if terminology is used that is not generally known to the average reader. Bibliography or reference list: The bibliography section, typically used in works of nonfiction, lists the sources for works used in the book. For samples and guidelines on proper layout, refer to the Chicago Manual of Style, 16th edition. Index: The index is an alphabetically ordered list of words and terms used for referencing your text. Indexes are important pieces to a nonfiction book. For the past five years in my role at Author Solutions, I have been working with our team to build relationships and partnerships in Hollywood and help create events like the Book-to-Screen Pitchfest to expose entertainment executives to self-published titles and give our authors unique opportunities to put their books in front of people who are making decisions about what makes it to the screen. 1. The number of scripted shows being produced has nearly doubled in the past five years. The rapid expansion of media outlets including cable channels and streaming services like Netflix, Amazon and Hulu have led to explosive growth in the number of scripted shows being produced. In a widely quoted study from FX Networks Research, Variety noted this past year the number of scripted shows totaled 409, which is nearly twice as many as were green lit just five years ago. 2. Two significant movies from this past year started as self-published books. Books have always been a source of inspiration for movies, and self-published books have been a starting point for a number of films in the past. In fact, People magazine recently ran an article highlighting seven films that first came to market as self-published titles. One of the more widely known examples is Legally Blonde. The book, originally self-published with AuthorHouse, became a starring vehicle for Reese Witherspoon and spawned sequels and even a Broadway show. However, this past year, I believe two things happened that have caused entertainment executives to look even more closely at self-published books for ideas. First, Julianne Moore won the Oscar for her performance in the movie Still Alice. An international best-seller for Simon and Schuster, Still Alice began as a self-published book with iUniverse. Second, the movie, The Martian was a box office success and it too started as a self-published work. 3. These two developments have made the hunt for fresh ideas more critical than ever. With so many time slots to fill on the small screen, producers and writers are looking for new ideas more than ever before. Self-published books can be a vast source of inspiration and often they can find these books before they are widely known to the public. That makes the acquisition of the material more feasible because they can typically avoid bidding wars, but still reward the authors appropriately. On the big screen, successful sequels are still a focus, but movie studios are also looking for the next franchise movie, like The Hunger Games or Twilight, plus they are looking for great stories they can produce for a reasonable amount and recoup their investment. While Disney had great success with The Force Awakens, lest we forget they lost millions on flops such as Tommorowland, The Lone Ranger and the infamous, John Carter. From a business standpoint, each of these movies cost $200 million or more to produce, which means their breakeven point was well above that amount. That is why they are also looking for movies they can make with a much more modest production budget, which tells a great story and make a profit, which is still the goal for studios. Now, while I believe this is all very good news for self-published authors, I have also seen these new opportunities squandered. In my next post, I am going to share 3 Key Reasons Why Hollywood Will Reject Your Self-Published Book. 4 different types of editing every aspiring author needs to understand. There are no one-draft wonders in book publishing. Every book, including children’s books, can benefit from the keen eye and experience of an editor, but not all editing is the same. There are different types of editorial services based on the need of the manuscript. Understanding these differences can be very beneficial as you work with your editor to make your book as good as it can be. Knowing the differences in editing services can help you make good decisions about what is needed to make your book even better. In a previous post titled, Six tips for finding the right editor for your book, I outlined some ideas on how to find the best editor for your book, but in this post I want to identify and explain the different type of editing you might need for your book. Copyediting, which is sometime also called line editing, applies a professional polish to a book. The editor reviews your work, fixing any errors in spelling, grammar, and punctuation. Depending on the definition, copyediting may also include editing of syntax, word choice, tightening of sentences, and the application of style, such as The Chicago Manual of Style. Some editors distinguish copyediting and line editing and consider them two separate edits. Copyediting is often the lighter, grammar-only edit, and line editing is a more detailed look at each sentence’s meaning. Every book, including children’s books, can benefit from the keen eye and experience of an editor, but not all editing is the same. Line editing is often used interchangeably with the term copyediting. However, when it is distinguished from copyediting, it refers to a unique edit that falls between copyediting and developmental editing. With line editing, the editor looks at your book line by line and analyzes each sentence. The editor considers word choice and the power and meaning of a sentence. The editor considers syntax and whether a sentence needs to be trimmed or tightened. The developmental editor looks deeply at the organization and strength of a book. The editor considers everything from pacing to characters, point of view, tense, plot, subplots, and dialogue. Weak links are exposed and questioned. The editor scrutinizes order, flow, and consistency. He or she asks questions such as: Is this the right number of chapters? Are the chapters and paragraphs in the right order? Are there any places in the book where the pacing lags? Is there a hole in the information or story presented? Are the characters likable? 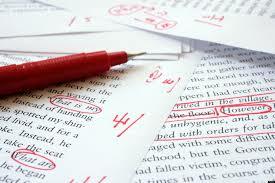 Developmental editing considers all the aspects of a manuscript that make the book more readable and enjoyable. Proofreading is also often used interchangeably with copyediting. The goal is the same: find any mistakes related to grammar, spelling and punctuation. However, proofreading is usually performed on the final layout of the book to make sure it is error-free before it goes to print. Chances are most errors have already been caught in the earlier stages of editing, but this final check gives you one last time to make your book as good as it can be. 4 words that will help you unleash your creativity. Creativity is a very interesting and often debated topic. Is it something you are born with or something you can develop? Is it something that only happens when limitations are removed or is there a process you can follow to foster creative ideas? From my experience some people may have a greater propensity to come up with new ideas, but we all have the capability to be creative. I say that because I believe creativity is essentially seeing or ordering the relationship between existing elements differently and perhaps in way that you had not seen previously. 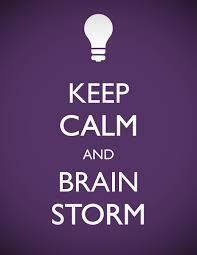 Therefore I believe you can use a process to help ideas flow more freely. It is a process I have used to fuel my own creativity and train others to use. With these words in mind, you ask the question, “what if?” You can utilize this process in just about every area where creativity applies, but for this post, I want to focus on how an author might use it. By subtracting the ability for characters to chose their future, the Divergent series provides an interesting plot twist and sets up the conflict for the main character. 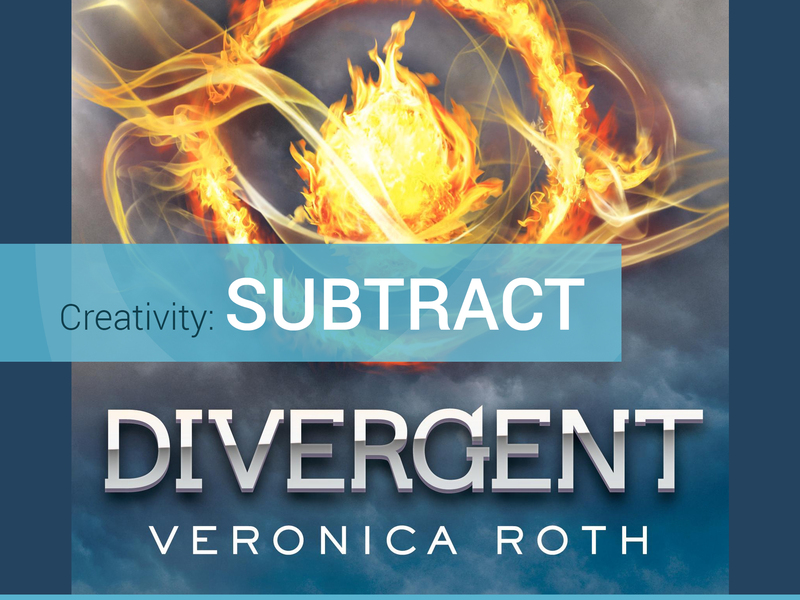 One of the first things you can do with your story is “subtract” something. In other words, ask the question what if the main characters did not have sight? Or in the case of Divergent, what if they could not chose their future, but it was pre-determined. By taking away that simple choice, a major plot line unfolds. So what can you subtract from your characters or world and what ideas would that spawn. The opposite of subtract is add. So in the same way you subtracted things from your characters or plot, do an exercise where you add something. They could have a special power or previously unknown child. The environment in which they live could have some additional feature as well. The key here is that addition is the goal. The goal is to make your story or characters more interesting by adding something that is a bit unexpected or launches the plot into a completely different direction. This exercise involves taking two elements that you would not normally associate with each other and combining them. One of my favorite examples is the series, Abraham Lincoln, Vampire Slayer. Here the author took a well known character from history and combined him with the idea of vampires. It is a bit campy, but quite memorable and certainly a twist you did not expect. 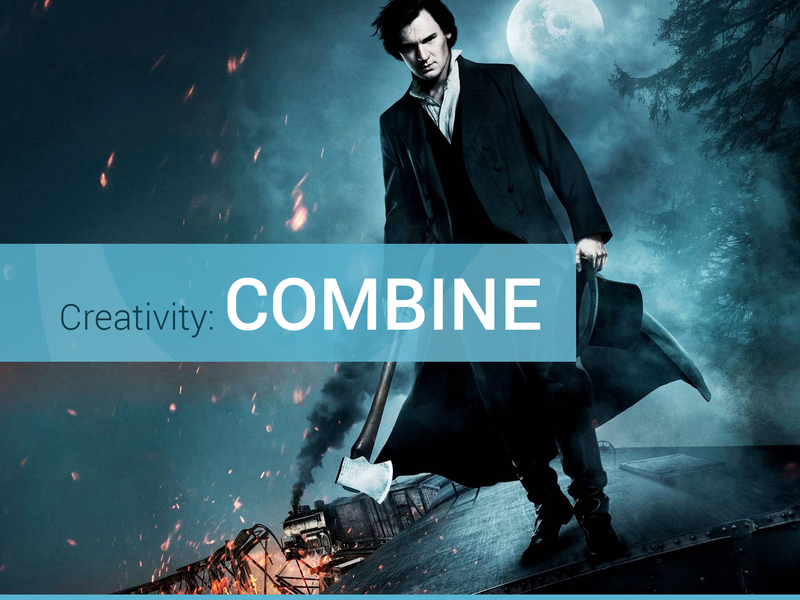 Combining ideas in relationships that might not normally be seen can create some interesting ideas like Abraham Lincoln, Vampire Slayer. This last technique involves taking a common element and substituting something else in its place. So for example instead of communicating by sentences and speech, perhaps the characters in your book only communicate by song. Or instead of living on land, they live on water. Again the key here is to use this method to create a twist that makes your story or characters more unique and somewhat unexpected for the reader. What do you do to stir your creative juices? I trust you will find these simple exercises helpful as you strive to make your book as interesting as can be. Is there something else you do to help your creative process? If you are willing to share that, use the comment section on this post to let us know.